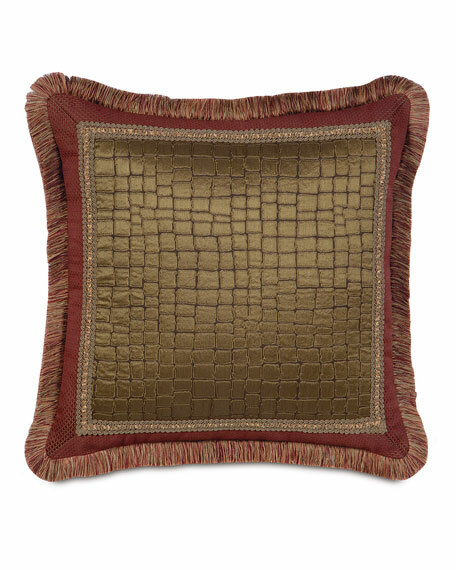 Barrington by Eastern Accents European Barrington Kincade Coin Pillow, 27"Sq. Barrington by Eastern AccentsEuropean Barrington Kincade Coin Pillow, 27"Sq. Polyester pillow with fringe finish. For in-store inquiries, use sku #1948550.